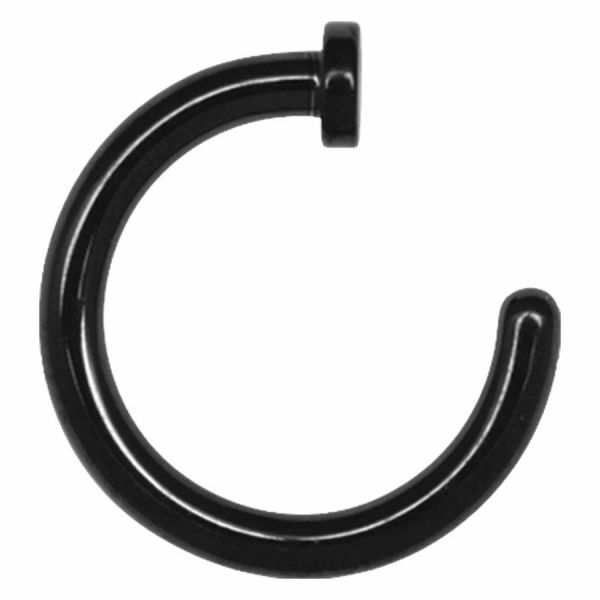 The Titan Highline® Open Nose Ring is available in strengths of 1.2 and 1.6 mm. The inside diameter is in each case 9.0 mm. This article is also available in the Titan Blackline® (KNR), the Steel Basicline® (ONR) and the Titan Zirconline® (GNR).